Inclusions are the unique identifying characteristics that are helpful in recognizing your diamond. While some people may consider them as flaws, we definitely do not think of them that way. We believe it’s more accurate to think of them as Mother Nature’s artwork trapped inside a time capsule from billions of years ago. If diamonds are a girl’s best friend, than fancy colored stones are clearly a girl’s BFF. Fancy diamonds offer up every color nature has to offer including red, purple, orange, and green. By far, the rarest are blue and pink and the most common are yellow and brown. Why Do Diamonds Have Color? 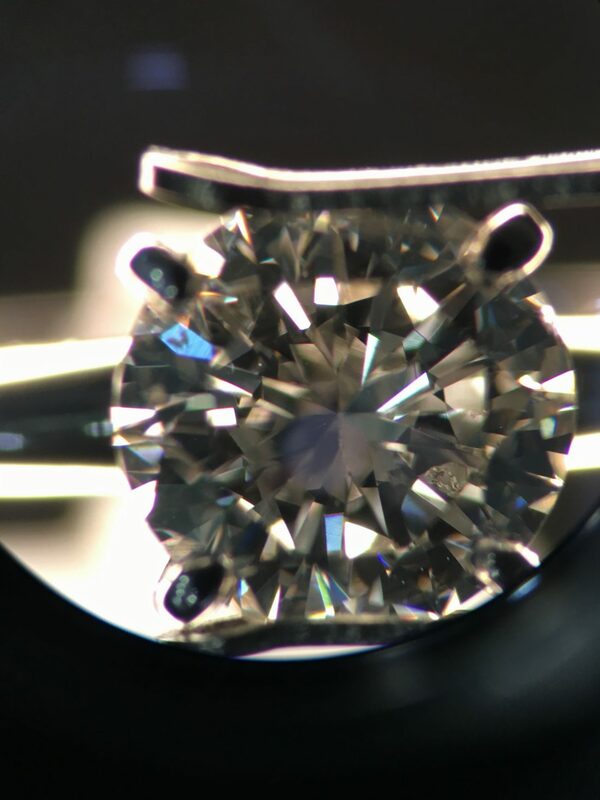 There are many things to consider when choosing a diamond. Among other things, the diamond’s girdle is something that should not be overlooked. The girdle of a diamond is the outermost edge of the diamond and the widest part of the stone. It connects the crown, or top, with the pavilion, or bottom.